So you’ve decided you want a Roku, but there are so many choices. There are currently five different models (not including full TVs with Roku built-in), and it’s not at all clear what the difference between them is. Which one do you want? Well, to start, there are no bad options: every Roku device can stream Netflix, Hulu, and thousands of other channels in full HD, not to mention some great free video channels. It’s when you get to other options, like 4K streaming and wired connectivity, that the models differ. Roku Express, $30. This is the cheapest option, and probably good enough for most users. Roku Express+, $40. This is identical to the Express, but comes with an A/V cable for use with older TVs that don’t have an HDMI port. Only sold at Wal-Mart. Roku Streaming Stick, $50. This is Roku in an HDMI stick form factor, complete with a voice search remote. Roku Streaming Stick+, $70. This is the cheapest Roku to offer 4K and HDR compatibility, and works with Wi-Fi at a longer range thanks to a USB-powered receiver. Roku Ultra, $100. This is the only current Roku with a microSD card. It also offers voice search from the remote, and an ethernet connection. That’s just a quick overview. Let’s dive into the complete Roku lineup, starting with the Roku Express and working our way up the price scale all the way up to the Ultra. More expensive options include every feature offered by the cheaper models, so I’ll only be listing the new features as I work my way up the chain. Our advice: buy the cheapest model with all the features you care about. It’s barebones, but it works. If this is all you want, there’s absolutely no reason to pay anything more than $30, which (not coincidentally) is $5 cheaper than a Chromecast. If you own the 2016 version of the Roku Express you probably don’t need to buy the new one; this is more-or-less the same device as last year but with a faster processor. For $10, more you can get the Roku Express+, which is only sold at Wal-Mart. The Express+ works with older televisions without HDMI, thanks to an included A/V cable. The Express+ is otherwise identical to the Express. RELATED: What Is MU-MIMO, and Do I Need It on My Router? 802.11ac dual-band MIMO wireless connectivity. This is latest in wireless tech, but only really matters if you have a 802.11ac router. Voice search via the Roku Remote, the quickest way to find which shows are one which services. The remote can also turn on your TV and adjust your TV’s volume. It’s more powerful overall than the Express, and the Voice Search alone is probably worth the $20 upgrade. 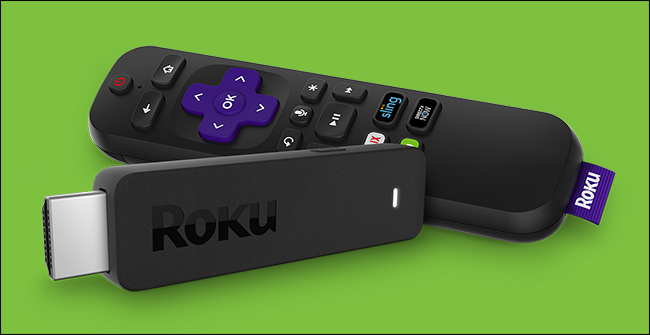 It’s also a big upgrade over the 2016 version of the Streaming Stick, thanks to MIMO capability and voice search on the Roku Remote, which were both exclusive to more expensive models last year. If you’ve got a 4K TV, and want to watch 4K content, this the Roku Streaming Stick+ is the low end Roku so far as you’re concerned. The Express and the regular Streaming Stick do not support 4K or HDR; this one does. RELATED: What is 802.11ac, and Do I Need It? 4K Ultra HD and HDR compatibility. Better wireless range, thanks to the included wireless receiver. You’ll need a USB port to power this receiver. The wireless receiver is kind of unfortunate, in that it makes the otherwise tidy stick a little bit unwieldy, but it was probably necessary to support the kind of bandwidth 4K requires. The Streaming Stick+ basically replaces 2016’s Roku Premier. The form factor is totally different, obviously, but it’s got the same 4K and HDR capability for $10 less. An ethernet point, for wired Internet connectivity. If you want to stream 4K content regularly this is highly recommended. 4K support for up to 60 frames per second. A USB port, so you can play media from external hard drives. The remote includes a headphone jack for private listening. Some cheap earbuds are included, in case you don’t currently own headphones. Offers night listening mode, so explosions don’t wake up your family. The remote can make a sound until you find it. The headphone jack is a nice addition to the remote, and the lost remote feature is really neat, but the ethernet port is the biggest reason you’d buy this model over any of others. Wireless gets better all the time, but nothing is as reliable as a wired connection for 4K streaming video. The 2017 Ultra is $30 cheaper than the 2016 model, but doesn’t offer the optical audio (S/PDIF) port. If you want that feature you’ll have to buy a Roku TV or somehow find last year’s model for sale somewhere. But Seriously, Which Roku Should I Buy? Still not sure which one you should buy? We’ll repeat our advice from the top of the article: buy the cheapest device with every feature you care about. If you don’t care about 4K, there’s probably no reason to buy anything more expensive than the Streaming Stick. If you want 4K video with HDR support, the Premier+ is the best buy here. Ultimately, which model is right for you depends on which features you want. It’s worth noting that there are also various TVs on the market right now with Roku software baked into them. Our policy: smart TVs are stupid. Unless you’re already looking to buy one of those TVs because you like the picture quality and price, get a plain old dumb TV and buy a Roku, which you can replace easily later without having to buy a new TV.